These chargers are designed to charge your water and effect the water structure to help your body absorb the water. The Magnetite will release the Ormus in the water. When drinking spring water that is charged with the magnetite we have found it beneficial to increase your calcium/magnesium intake. We have noticed spring or well water takes a charge the very best. Distilled or Reverse Osmosis or tap water does not seem to be as effective. We have found through extensive testing that anywhere from 3-5 days is the best return for the time to charge your water. We have found that the best results are achieved when the water is as close to the earth as possible. So putting the container on a ground floor is the best but if you do not have that option anywhere that works for you will be fine. If you can keep them away from as much electronic equipment, radio waves or EMF's as possible. Just do your best and put them where you feel good about them. If you keep your chargers in a dark area then just one day a month brings them into full sun for a day. The sun mixed with the magnetic pull of the earth seems to keep the magnetite in the same condition as found in the wild. 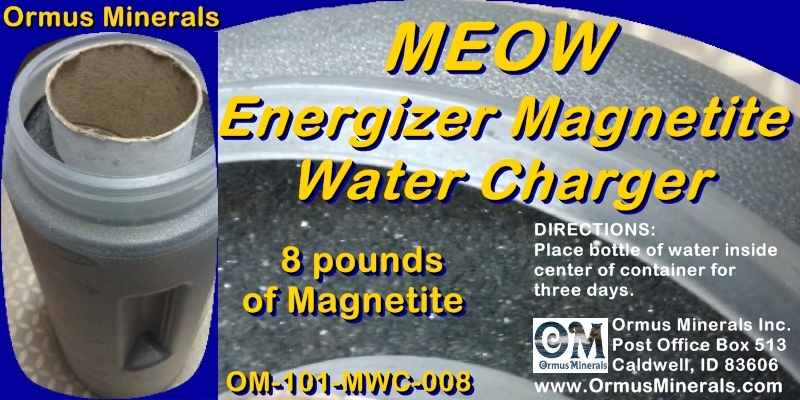 Also we have a mixture of other earth charging elements we can mix with the magnetite if desired. First one is about 8 lbs of Magnetite in a plastic cylinder with a cardboard center to let the energy flow into the water directly. 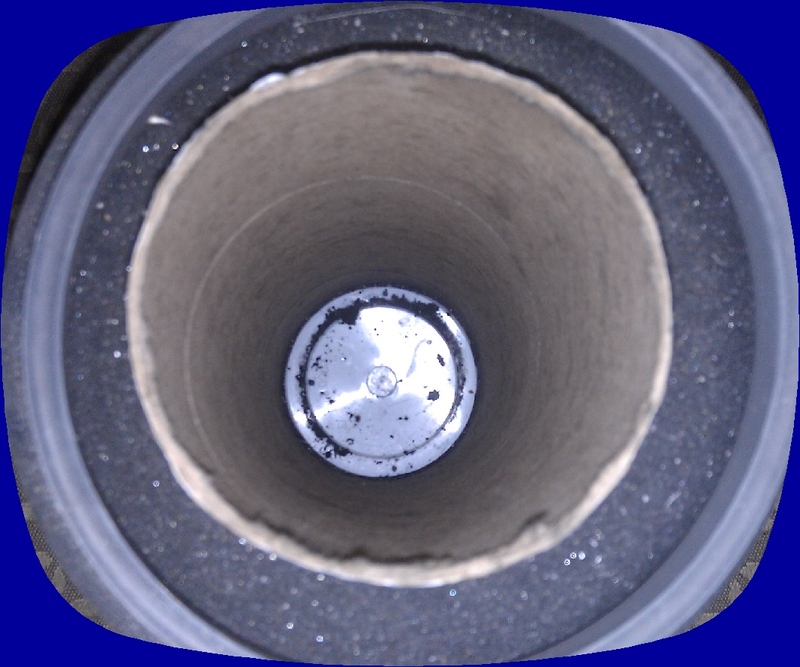 The middle cylinder is 3 inches in diameter. This will hold a 23.7 oz bottle or smaller size 16.9 oz. 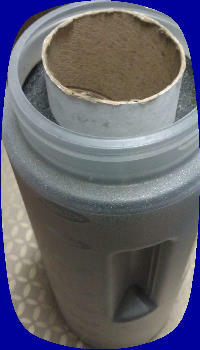 The second one is about 10 lbs of Magnetite in a plastic cylinder with a cardboard center to let the energy flow into the water directly. The middle cylinder is 3 inches in diameter. This will hold a 1 liter (SmartWater Bottle) 23.7 oz bottle or smaller size 16.9 oz. 3units will give you the ability to charge 3 bottles at a time so you can then drink 1 bottles a day of Charged Water. 6 units will give you the ability to charge 6 bottles at a time so you can then drink 2 bottles a day of Charged Water or share with someone one you care for each day.